Manchester United could still make a move for Frank Lampard before the end of January. 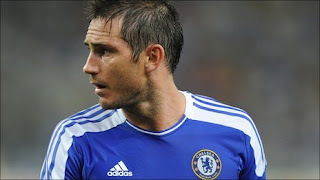 Reports on Friday alleged that the league champions were considering a bid for Lampard in order to ease their midfield problems. Sir Alex Ferguson was asked to respond to the reports, and suggested United's interest in Lampard was 'pure speculation'. However, according to a new claim, United are keen on Lampard - despite Ferguson's comments - and the Blues would be willing to listen to an offer of £7m. United are in desperate need of more midfield dynamism, while they are also short on numbers with the prolonged absence of Darren Fletcher. Should Lampard move to Old Trafford, he would certainly provide them with an extra dimension, although the 33-year-old is far from his best.